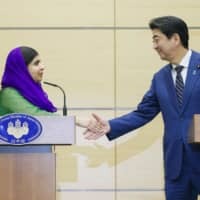 Malala Yousafzai, an advocate for women’s education and the youngest person to become a Nobel Laureate, urged Prime Minister Shinzo Abe on Friday to take the initiative in expanding educational opportunities for female youth at the Group of 20 summit this summer. “I spoke with the prime minister today about girl’s education. 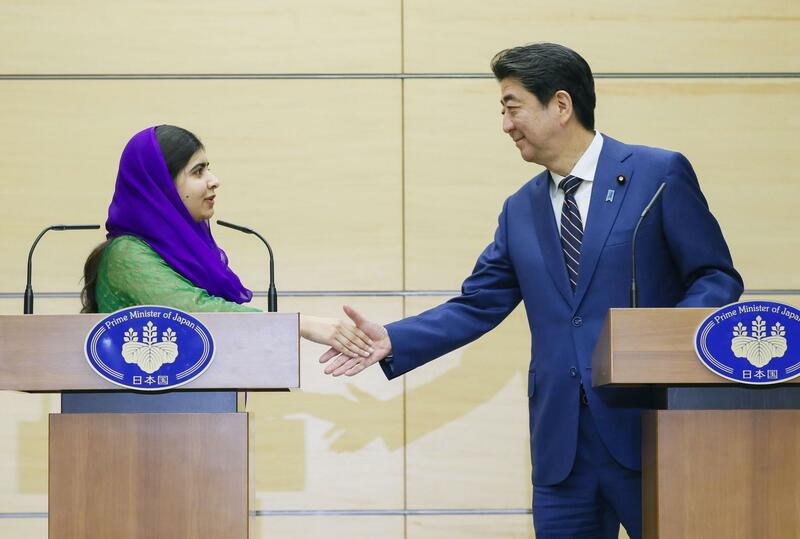 The importance of investing in girls now — for a future in economic growth and global stability,” Malala said at a news conference after her short meeting with Abe at his official residence. The meeting preceded the joint summit of the World Assembly for Women and the W20 being held in Tokyo on Saturday. “I hope that he can use his G20 presidency to help my sisters in Japan, G20 countries and around the world to reach their full potential, because our world works better when girls go to school,” she added. 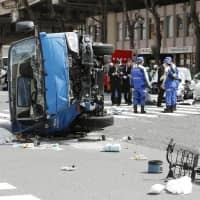 This year’s G20 will be held in Osaka in June. At the same news conference, Abe spoke of the inspiration Malala would bring to the table at the joint WAW/W20 summit. “I hope that the attendance of Malala, a global female leader, will inspire lively discussions at WAW — discussions that will empower women through diversity … and eventually snowball into a major force for promoting the prosperity of women in society,” he said. This year’s W20 summit will be held in conjunction with WAW, an annual symposium hosted by the government that aims to promote the empowerment of women. Malala will be making a keynote speech on Saturday, along with United Nations High Commissioner for Human Rights Michelle Bachelet. The W20 is one of numerous engagement groups from the G20, and aims to submit policy suggestions on empowering women to the G20.